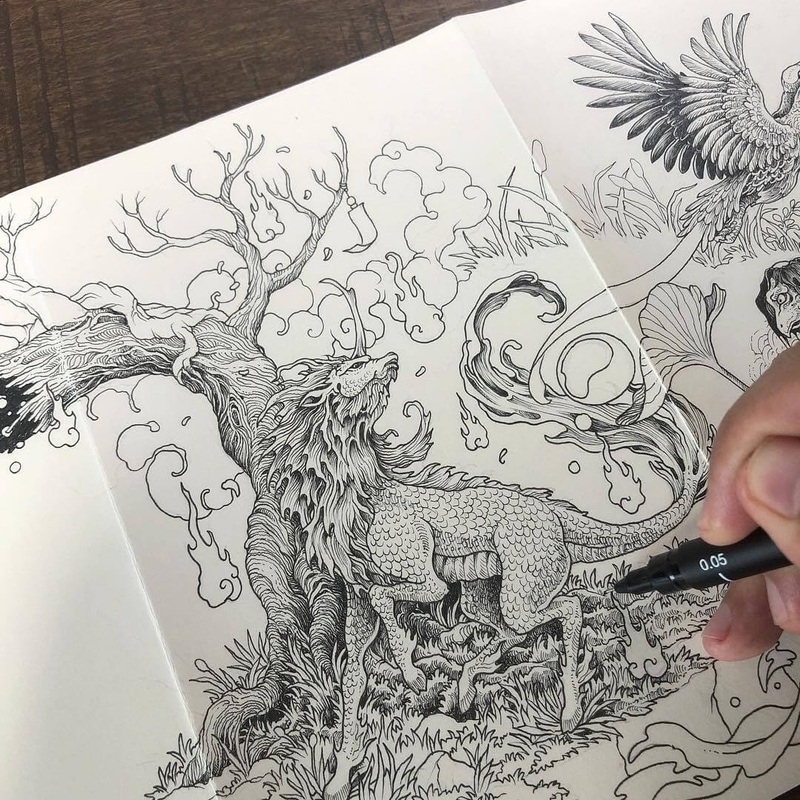 An artist who is very comfortable with free hand detailing, so much so, that his drawings read like a page out of a book. 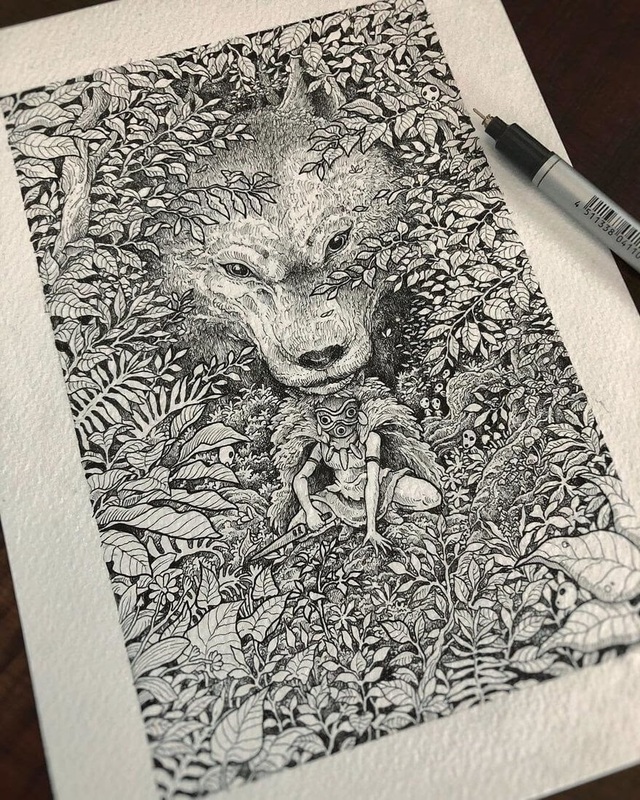 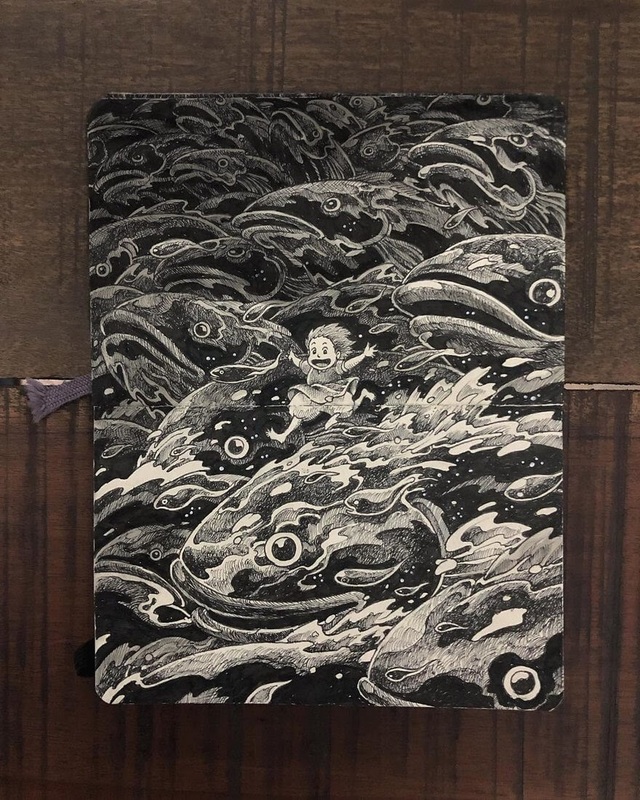 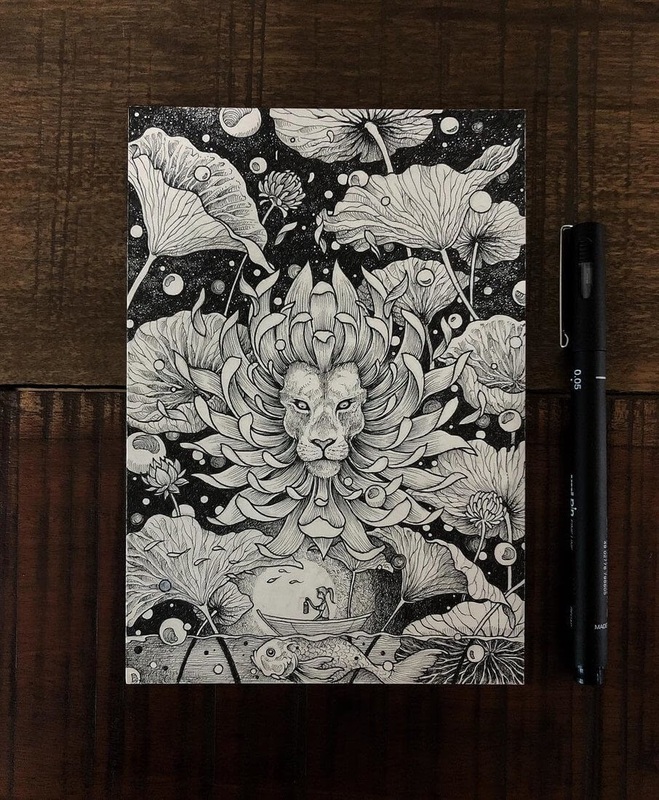 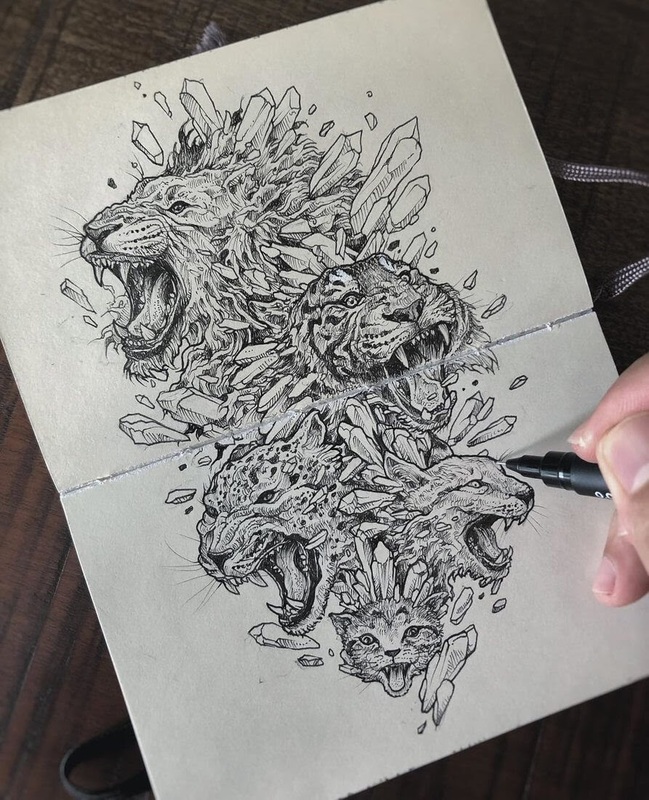 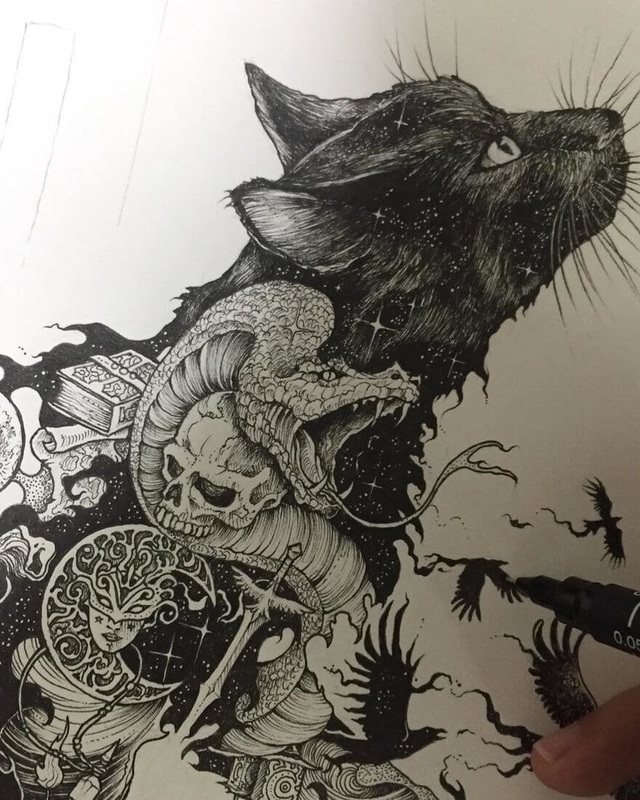 Filipino Artist Kerby Rosanes, has been featured many times here on our site and that is because of the variety of the imaginative subject matter he approaches and the different styles he experiments with. 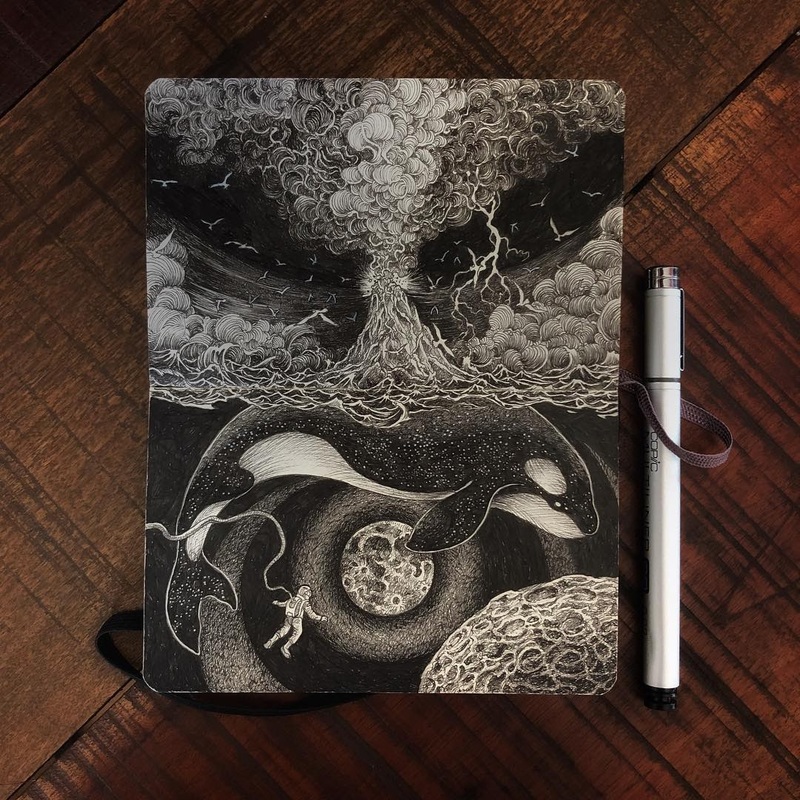 All of this, helps keep his body of work fresh and always a pleasure to look through. 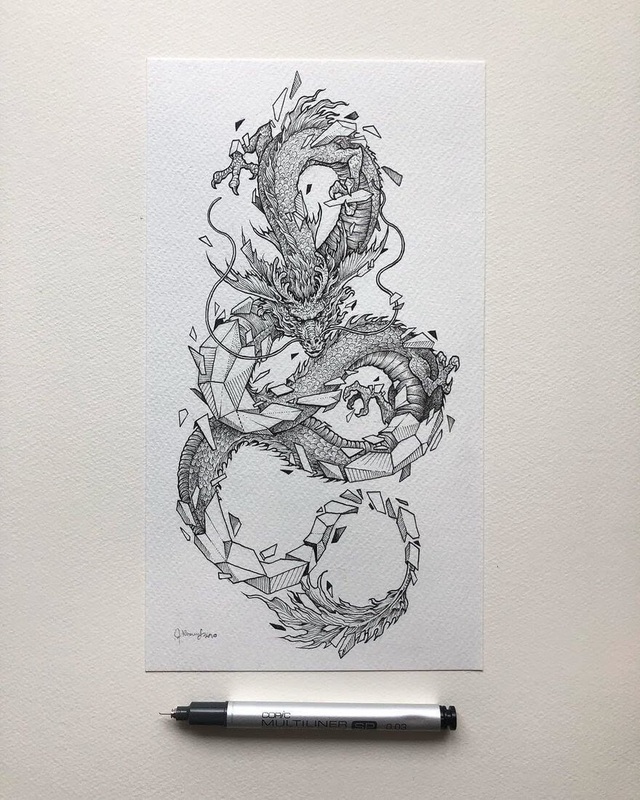 These ink black and white drawing, are no exception and when you are finished with them, a link below, to Rosanes' previous artwork on our site. 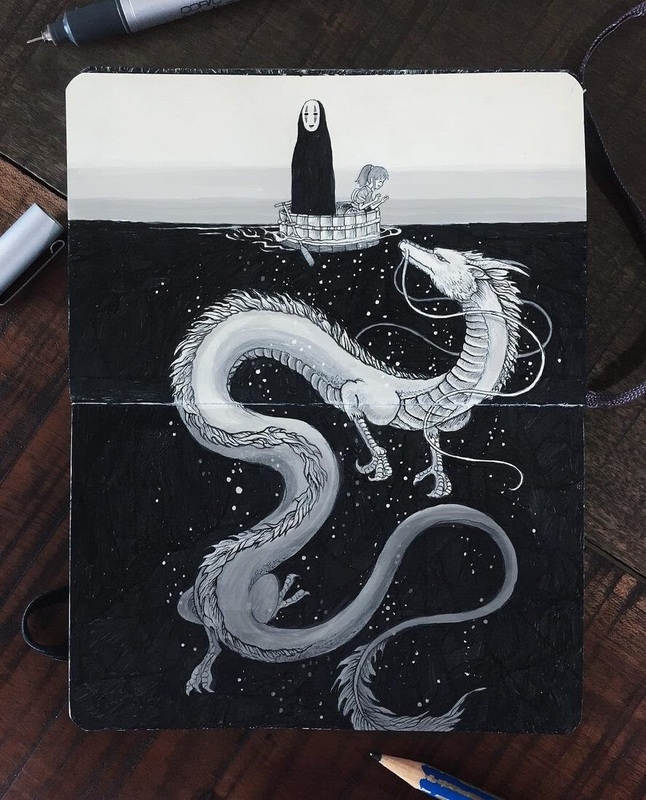 Kohaku River - Spirited Away. 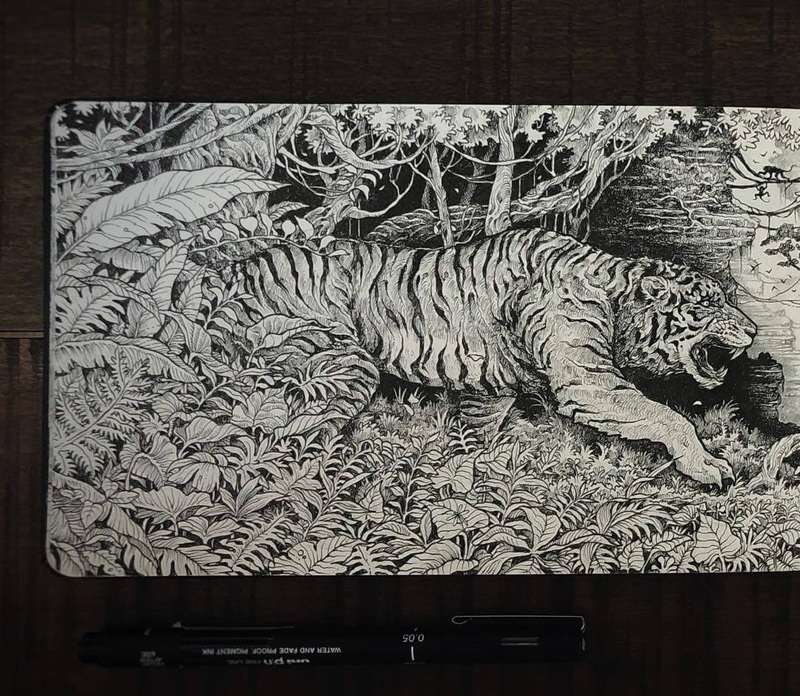 Shere Khan The Jungle Book. 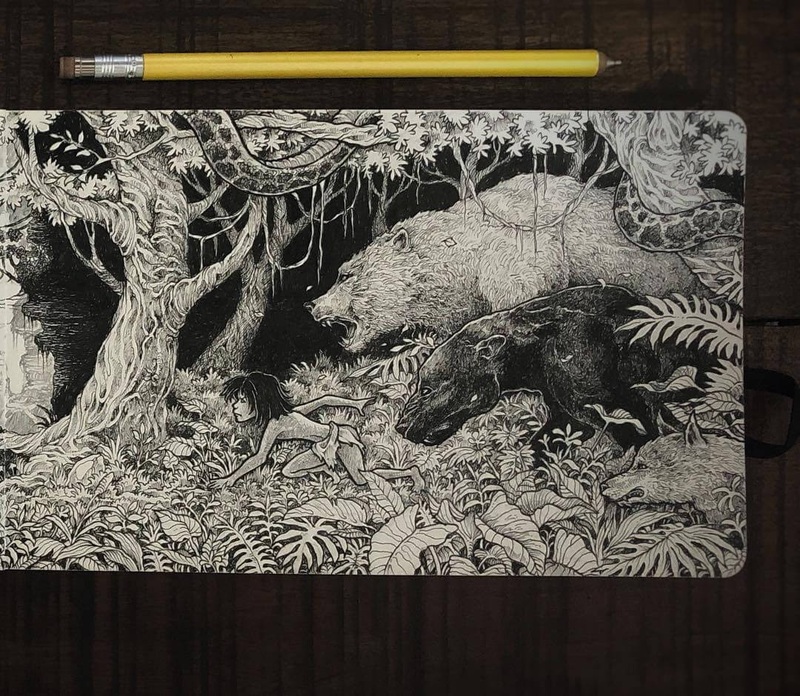 Mowgli, Baloo, Bagheera, Kaa, The Jungle Book. 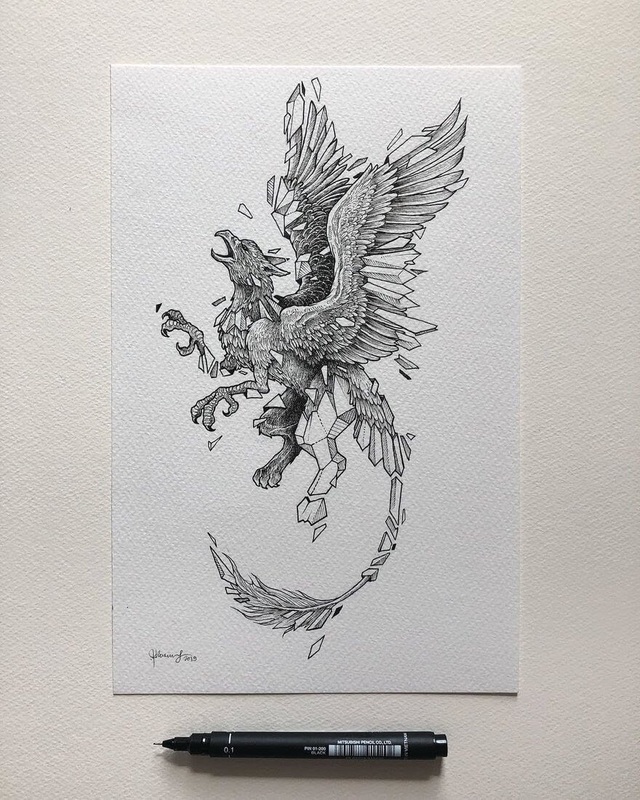 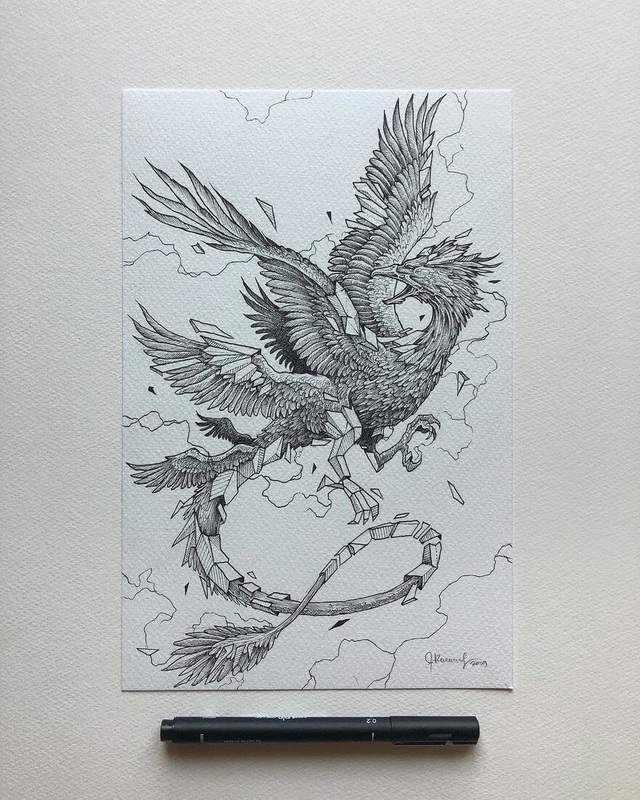 Mythical Geo Beast: The Griffin. 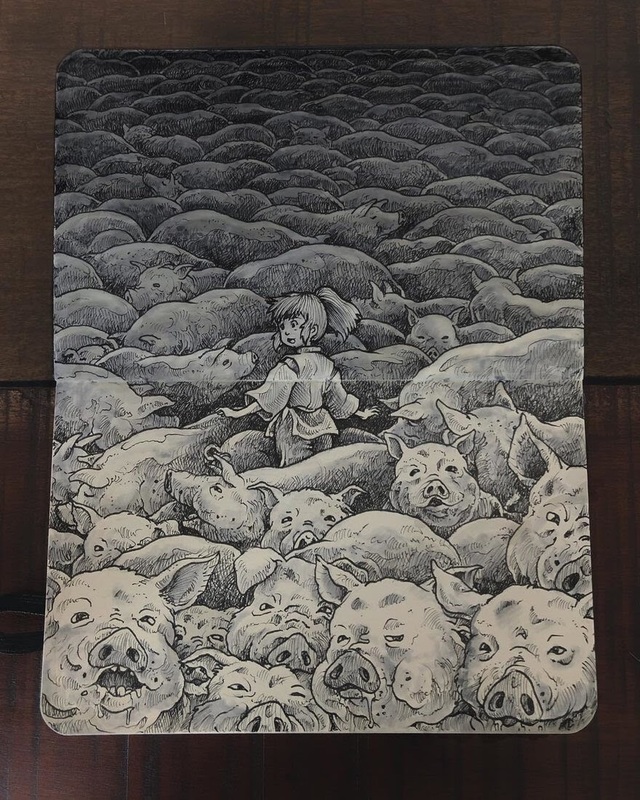 Year of the Pig - Spirited Away. 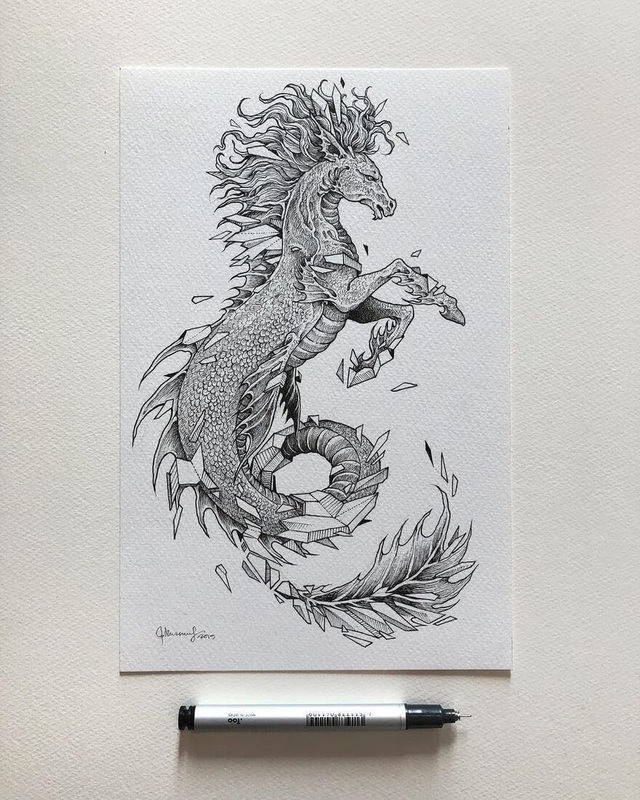 Kohaku River - Spirited Away is my favorite but they are all beautifully done. 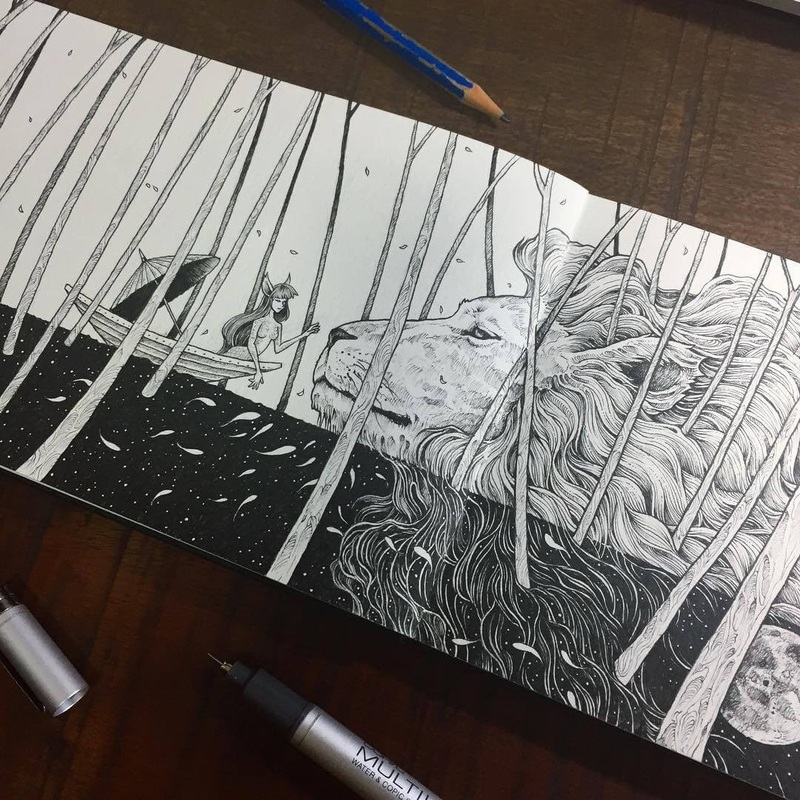 I love the movie, watched it years ago, beautifully written and drawn.